but...We can still have some BLOOMING fun. 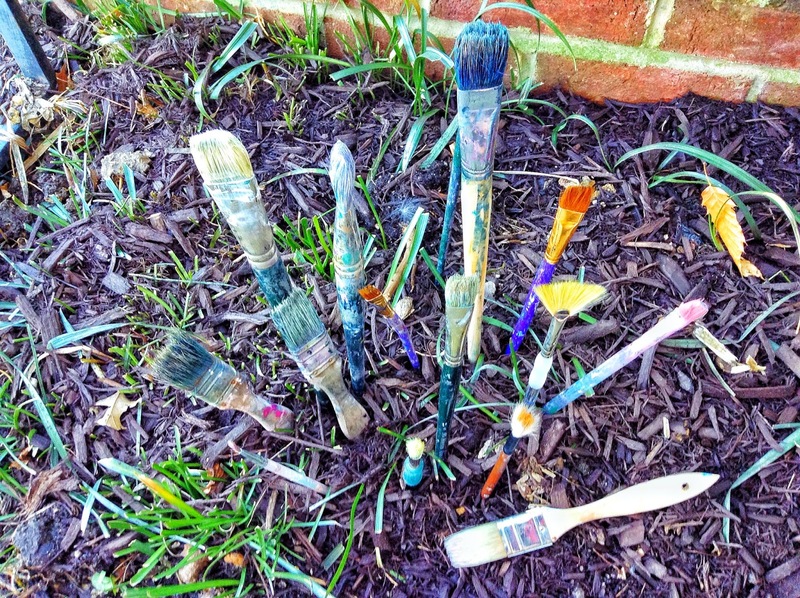 Since the flowers are still hiding, I decided to pop some paintbrushes in the soil, for a fun Welcome Spring photo! 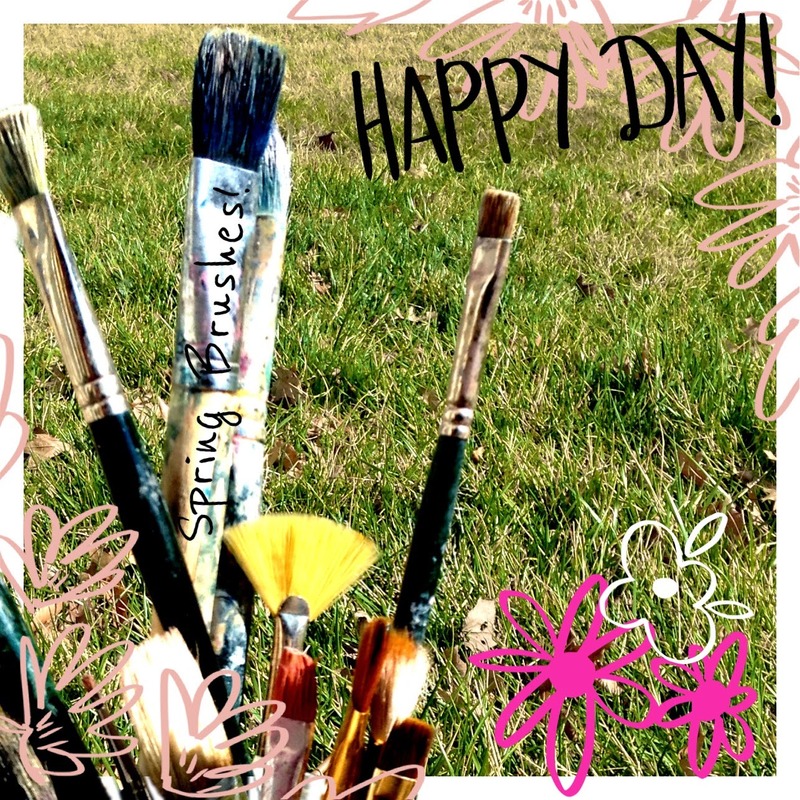 If you're bored of being inside and have some old brushes to use, go outside and take some #BloomingBrushes snapshots. 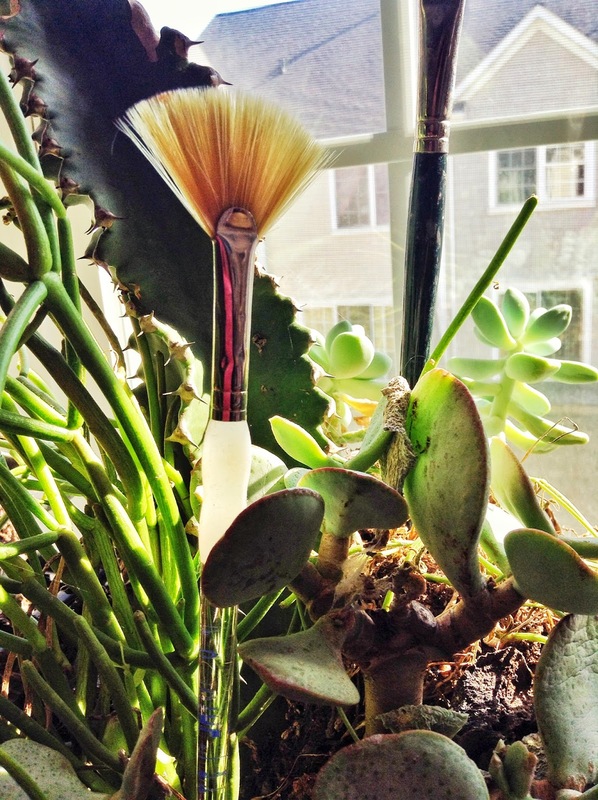 Just because the flowers haven't come out of hiding yet, doesn't mean we have to stay in hiding too.